Fresh on the Market. This beautiful large 2nd floor 2 Bedroom unit is right in the heart of the developing UCity/Mantua community. Just blocks from Drexel, UPenn, and other surrounding employers and companies alike. You enter this unit via the common entrance for the upper two tenants directly from the street level. You enter the unit via the Living room. 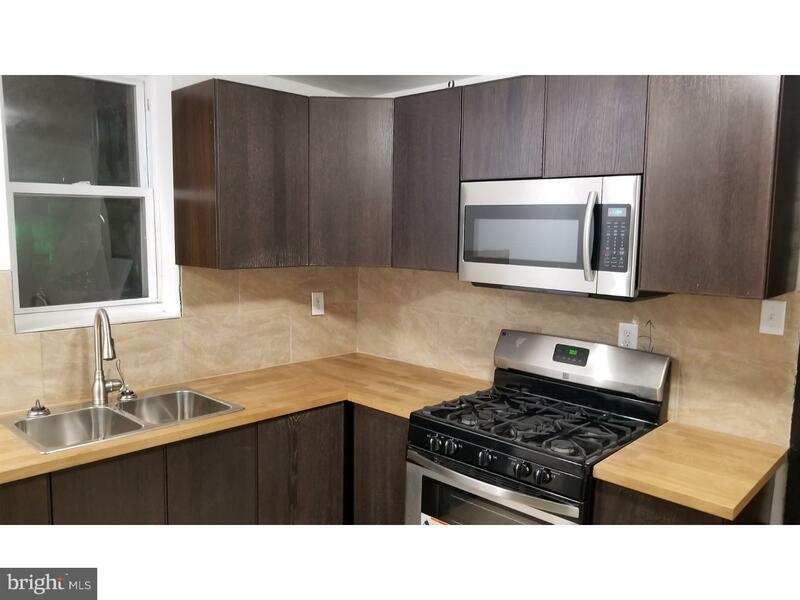 The kitchen is to the rear of the unit has a hip and clean modern design with a new cabinets, counter tops, and appliances (microwave, dishwasher, Garbage Disposal etc). The unit also features hardwood flooring through the apartment. Taking the hallway to the front of the unit you will locate 2 large bedrooms and a modern bathroom featuring a fully ceramic tiled room, new tub, toilet, and a mahogany vanity. The apartment also has a new Central A/C and Heating system and access to a rear individual roof deck area. Let's not forget when you factor in the walk ability score being conveniently close to the Universities, Public and Charter schools, Shopping, Banking Institutions, Public transportation, Hospitals, and immediate access to Center City and I-76/I-676 via Spring Garden St. All this unit needs is you!! !